We’ve learned a few tips and tricks along the way with our social blog and also made a lot of mistakes. However there are a number of ways to increase your chances at becoming the top blog in your industry. No news paper in the world writes about subjects the readers have not interest in, and a blog should be the same. Study your analytics, shares and other figures to get an idea. Also, send out surveys asking readers what they show an interest in. Sure, it is quite elementary, however it works a dream. When looking for inspiration for blogs, remember how specific you can be and how large each subject is. A twitter post on gaining followers for instance can be split into numerous Twitter posts. Using different writers you can create a number of angles on a similar subject that offers completely different advice. For instance a Twitter post on fans can be on subjects like ‘how to get fans’, ‘how to keep fans’, ‘how fans can be turned into brand ambassadors’ etc. Have you seen a paper with one author? Definitely not. That’s why the biggest sites have a number of authors. Each blog piece is like a editorial and reflects different views, understandings and advice. Sharing voices creates a different feel and dynamic to a blog and adds better content more easily. It also allows you to build alliances with other experts and many also promote their pieces for you on the web – saving you some work. 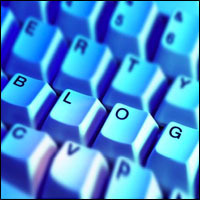 Look closely at the top of any great blog and you’ll see a line of interesting and on the ball sharing buttons. Great content is not written and then found, it has to be shared. Unfortunately, we don’t live in times when an artist has to be dead before he’s great. Sharing, self promotion and all of those things are necessary for your business to flourish and your blog post to be seen – so get sharing. Remember video blogs tend to be more shared than many others – so do change it up now and again. Though you probably believe email newsletters to be a little naff in this day and age, they work wonders for blogs. Most blogs are visited on some sort of clicking spree, never noted and never revisited. Encouraging people to sign up and receive updates is the best way to increase returns to your blog – an essentially part of building a readership. This allows you to build loyalty and benefit from all the things it brings. So, if you find this all helps, share it and let others benefit from some tips. Anything we forgot, let us know in the comments below, we’re always open to new info. My Social Agency is a digital marketing agency based in the United Kingdom with teams in Leeds and London. Get in touch today to learn more about our social media marketing services.